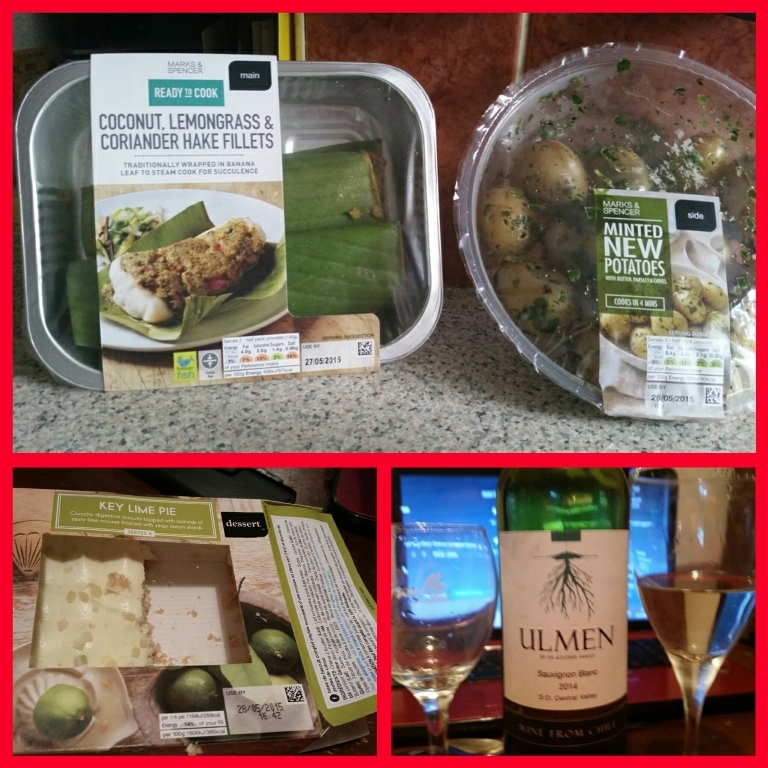 Coconut, Lemongrass & Coriander Hake Fillets with Minted New Potatoes followed by Key Lime Pie and Ulmen Sauvignon Blanc 2014 – All For £10 – Ding Dong! Well it was that time of year again… It was Eurovision weekend, and my mother and I decided to watch it together with a meal deal she chose from Marks & Spencer. I have to be honest I wasn’t overly looking forward to this one 😕 , as you’ll know by now my mother picks one element, I pick one and then we both usually agree on the dessert. 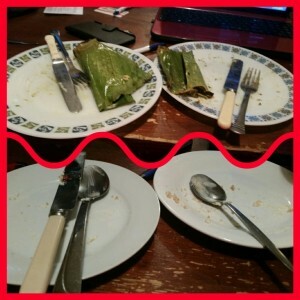 My mother wanted this Hake dish…. I can’t say I was excited would be an understatement, especially after fishbonegate! 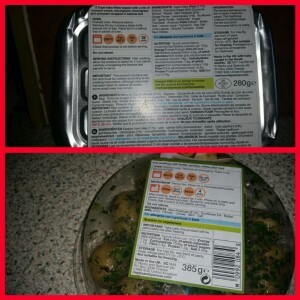 I was hoping to be proved wrong, like I was for the Sainsbury’s Bistro Chicken! 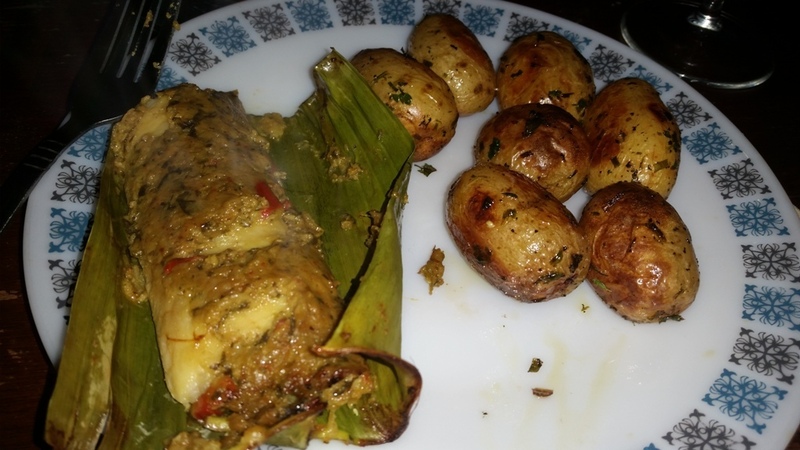 Both the main and side were cooked in the oven, I cooked the fish for potatoes for 35 minutes with the fish needing 28 minutes both of which were in a 2000c. The fish was wrapped in a banana leaf, I thought that was a really nice touch, we didn’t eat it though… should we have? 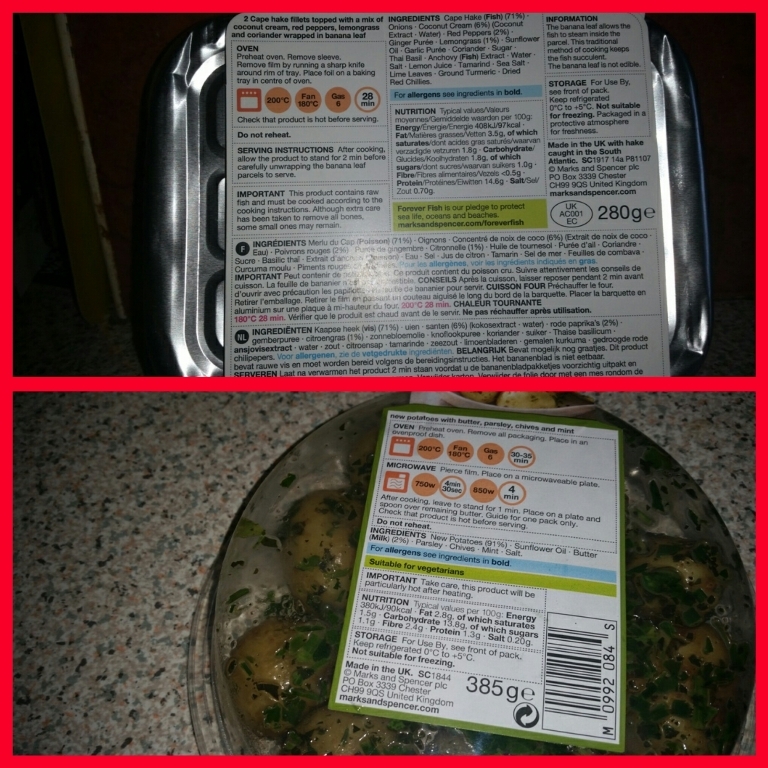 You know me I don’t like potato skins but these potatoes were lush to use a Gavin and Stacey ism. 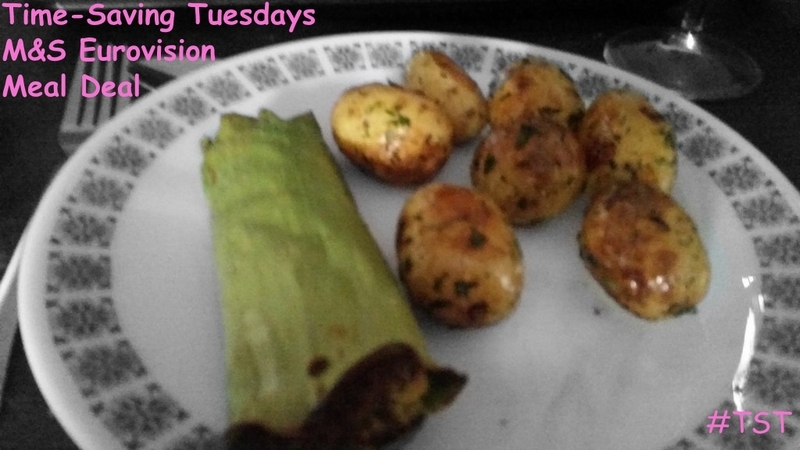 I suppose the only disappointment I had with the potatoes was, not that they were hard like previous meals, but that they weren’t particularly buttery. That could have been my doing though when I was cooking it. 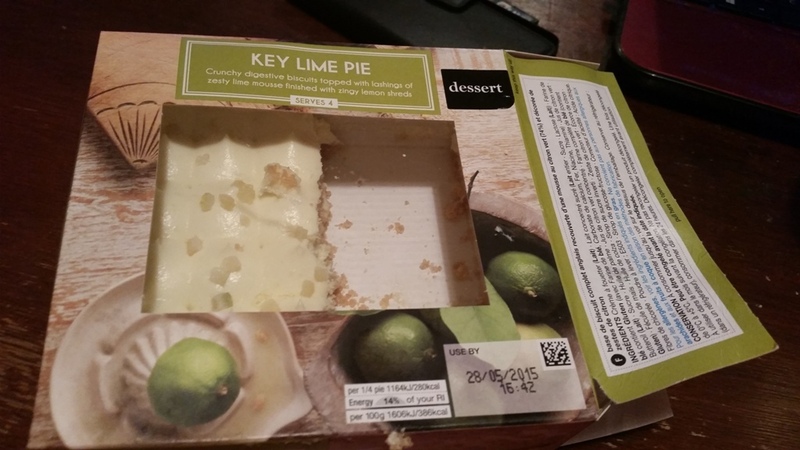 M & S Eurovision Meal Deal – Key Lime Pie For Dessert Anyone? The dessert was also excellent, but we’d had it before. 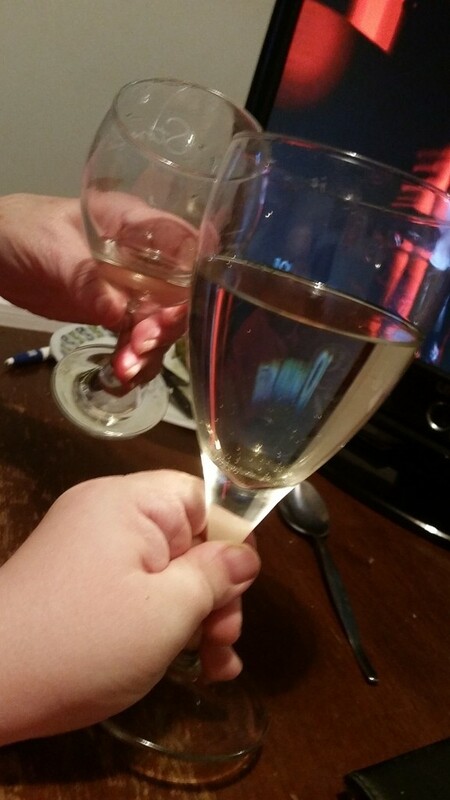 It was a great way to end a meal, citrusy and light. I’m not sure if I’ve said this before but it brings back so much nostalgia of being in Florida when I was a child, possibly one of my favourite desserts. It’s a glorified cheesecake but my it’s good. I surprisingly for me liked the lemon zest finish which isn’t like me. M & S Eurovision Meal Deal – Cheers Mam! All in all an excellent night, for the meal and the wine I’d give a really high nine out of ten. 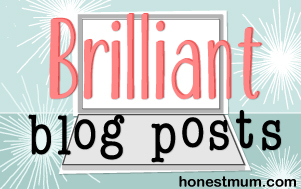 For the Eurovision performance and the tactical voting nil pois I think it’s one of my favourite so far and a really good choice by my mother…. next week on the menu is humble pie! The M&S Meal Deals are really worth it, it’s great value for money for £10 – a main course, side and dessert for two with a bottle of wine, you can’t ask for better than that can you! Ok well maybe a michelin star chef to cook it for you! For now though I’ve got to settle for Wheelie Good Meals Stars, nine of them in fact 😆 ! 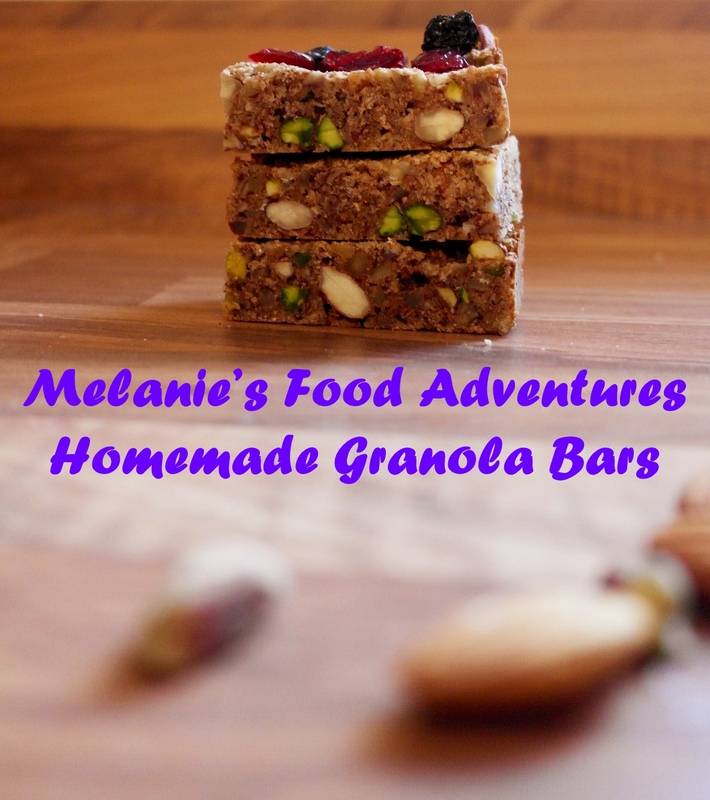 See you soon with another recipe, I’ve been busy cooking this bank holiday weekend so lots to share with you. I hope you all had a great bank holiday and you’re making the most of the weather.